This holiday season gives us a brief moment upon which to reflect, appreciate and celebrate all our many blessings and of course to plan for the challenges and opportunities that lie ahead. Joyous! That is the only way to describe our recent nine graduations. I personally draw strength from the unfettered happiness in our convocation center as families, loved ones and giddy soon-to-be-graduates experience the catharsis of this milestone achievement. The gatherings offer the opportunity to send messages through the familiar array of graduation speeches and recognitions. Despite the many challenges out there: Newer and more heinous levels of violence locally and globally. A rising tide of anger and rejection. Frustration with stagnation in earnings and mobility. Growing uncertainty over the value of institutions and programs that previously served as anchors for civil society. The emergence of public displays of extremism that somehow now seem to be tolerable. An era that is dawning as post-factual and post-truth in tone and reality. It seems as if we spent much of 2016 weaving in and out of these new realities. Expect a new normal for sure in 2017. In this context, how can we recommit to the good life that we strive for? What can we do to help make things better? How can we indeed be a stepping stone rather than a stumbling block? As we close this year, the narrative in this letter should give you hope and optimism for this coming year. What you will see in the pages ahead will give you added energy, zest and hope for what lies ahead. Our best days really do lie ahead at FIU largely because of the strength of purpose, mission and character of those who work at FIU and those who are associated with our great institution, such as Al Dotson. Below we provide brief narratives on the many stepping stones that our university is putting in place to ensure forward momentum and solutions orientations that will help make our community and our world better places for all. There is no better place to start than with one of our happiest celebrations… commencement. 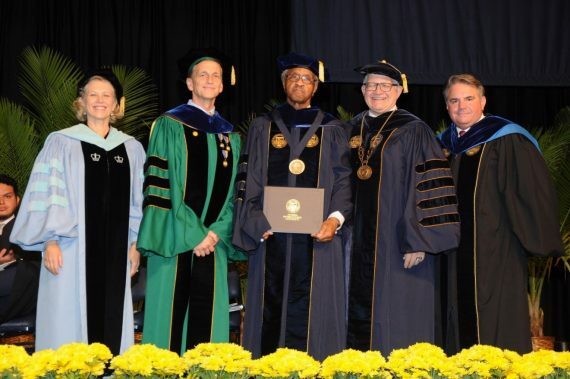 Earlier this month, more than 4,900 FIU students graduated in nine ceremonies! When our students cross the stage — sometimes nervous, other times bursting with excitement — it’s such a special moment for them, their families, friends and loved ones. And for our entire community! It really is the greatest gift! Relive the special moments of our recent commencement ceremonies with this special video. One of our commencement traditions is sharing the stories of standout students who are recognized as Worlds Ahead Graduates. The more you learn about how determined our students are to succeed, the more you can appreciate how much of a stepping stone we really are. 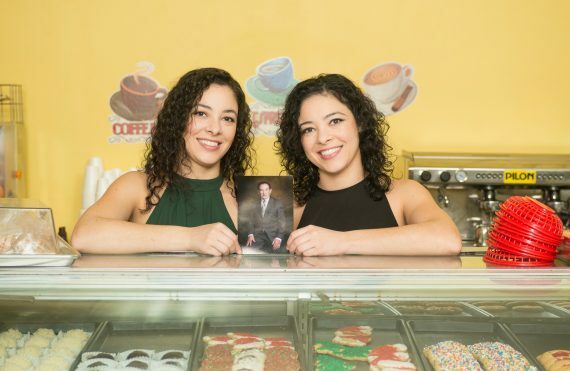 Tiffany, and her twin sister Eileen, are owners of Vito’s Bakery in Virginia Gardens. The twins lost their mother at four years old and were raised by their single father, Vito. When he was diagnosed with a terminal illness and passed away, the college students became bakers and business owners. Balancing school and the business was a challenge, but Tiffany was determined to never give up or forget her promise to her father. She graduated with her bachelor’s degree in psychology. Eileen, who graduated from FIU in 2013 but couldn’t attend the ceremony because her father was too ill at the time, also walked alongside her sister. This is what FIU is all about. We help our students achieve their dreams! But there are other powerful stories to read about our December 2016 graduates, including Joseph Sanchez who underwent 18 operations before he could graduate and Mariela Quan who took 20 years to walk across the stage. Find these uplifting stories from our December commencement season here. Two FIU graduates, Senator Anitere Flores ‘97 and Representative Jeanette Nunez ’94 MPA ‘98, were recently named to senior leadership roles in the Florida Senate and House of Representatives. Flores, who also previously worked at FIU for Governmental Relations and External Relations, was named as the Florida Senate’s President Pro Tempore for 2017-18 by Florida Senate President Joe Negron, making her the most influential member of the chamber under the senate president. Representative Jeanette Nunez has also been named as House Speaker Pro Tempore for Speaker Richard Corcoran, making her the first Hispanic woman to reach this post. This is the first time that FIU graduates have simultaneously reached senior leadership positions in both legislative bodies. Both are veterans of state legislative politics and both are actively involved in FIU alumni affairs! But there is more good news in the political arena. FIU graduate Jean Monestime ‘95 is completing his two-year run as chair of the Miami-Dade County Commission. He is the first FIU graduate to rise through the ranks to assume leadership of the commission. He is being succeeded by another FIU graduate, Steve Bovo ‘87, who was one of my students back in the day, in the Department of Political Science. And his vice chair is… another FIU graduate! Audrey Edmonson ‘94! She studied psychology while at FIU and hails from District 3. We are a stepping stone for those who seek to make a difference as public servants! In this era of state performance metrics, funding for our FIU and other state universities is linked to how well we do fostering timely student graduation—four years—and in preparing our students and helping them find good, high paying jobs. These state performance metrics drive our university goals, as outlined in the FIUBeyondPossible2020 strategic plan. In the strategic plan, one of our goals is the identification of preeminent programs. FIU’s outstanding programs are a testament to our ability to foster student success and high-impact faculty research. After a rigorous and thoughtful peer-review process, we’ve selected the first group of preeminent and emerging preeminent programs. These programs vary in concentration and discipline, but share a common goal: to use the blessings of our student and faculty talent to address some of society’s most pressing issues. Why are these programs essential to our success? They drive research, creativity, innovation and education. They help us better serve our community, our state, nation and the world. They are stepping stones that help lift the prestige of our entire university, as we continue to focus on student success and research preeminence, making us a stronger FIU! I look forward to sharing more updates about these programs in the future! From a new method to fight HIV to a tool that provides early intervention for glaucoma — our faculty are always pushing the boundaries of innovation and technology. Many have even produced groundbreaking projects that have received U.S. patents! Patents can change lives and play a central role in our research efforts as well as in the economic development of our region. They are stepping stones to a better, more innovative future. Since FIU’s founding, we’ve received 46 patents! One of our strategic plan goals is to receive more than 30 patents per year by 2020. We are within reach of this target. This year, FIU earned 16 patents — the most we’ve ever been given in a single year. Patent applications have also reached a record number. We’re expected to earn even more next year! I am happy to tell you that we have consequential momentum in the development of a significant number of patents. At this pace, FIU is on track to make the list of top 100 universities in the world for granted U.S. utility patents in the next few years. As evidence of this momentum look no further than our own provost. The 2016 National Academy of Inventors Fellows Selection Committee has named Provost and Executive Vice President Kenneth G. Furton an NAI Fellow. This is a well-deserved honor. He is leading our growing innovation enterprise at FIU! Since becoming provost in 2014, Provost Furton has led the charge in providing a fertile environment for FIU’s inventors to thrive and prosper. Under his leadership, issued patents have increased from two in 2013 to 16 in 2016, invention disclosures have risen by over 100 percent in the last three fiscal years, and most recently his efforts catalyzed the creation of StartUP FIU. Provost Furton is also a professor of chemistry and biochemistry in the College of Arts, Sciences & Education and founder and director emeritus of the International Forensic Research Institute. We are also thrilled to inform you that Ram Iyengar, director of the School of Computing & Information Sciences in the College of Engineering & Computing, has just been elected to the 2017 Class of the College of Fellows of the American Institute for Biological and Medical Engineering (AIMBE). He was selected following the most rigorous and selective review process in AIMBE’s history. Only two percent of researchers conducting biomedical/bioengineering research worldwide have been inducted so far. Only fellows can nominate a candidate. Dr. Iyengar’s election makes him the third AIMBE Fellow at FIU, the other two being Dr. Anthony McGoron and Dr. Ranu Jung. There’s still so much that we don’t know about the development of the human brain. And FIU is helping unravel this mystery. 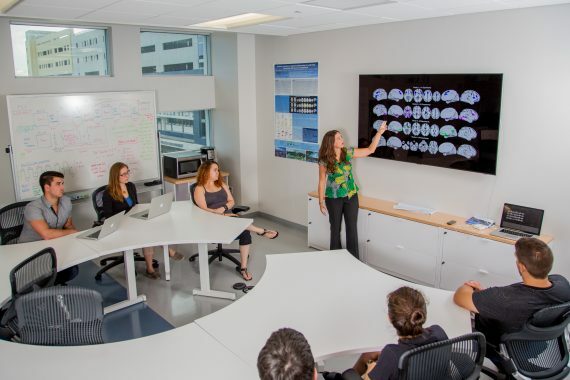 A team of researchers from FIU’s College of Arts, Sciences & Education and the Robert Stempel College of Public Health & Social Work are participating in the largest long-term study on adolescent brain development in the country! The National Institutes of Health’s study, called the Adolescent Brain Cognitive Development or ABCD, will follow 10,000 children beginning at ages 9-10 through adolescence and into early adulthood. Recruitment is currently underway and will continue over a two-year period through partnerships with public and private schools near research sites across the country. The NIH has identified a specific list of schools for participant enrollment in South Florida to include hundreds of youth from diverse ethnic, cultural and socioeconomic backgrounds in Miami-Dade County and surrounding areas. Leading the recruitment efforts for FIU is Raul Gonzalez, associate professor of psychology, psychiatry and immunology, and researcher at FIU’s Center for Children and Families. 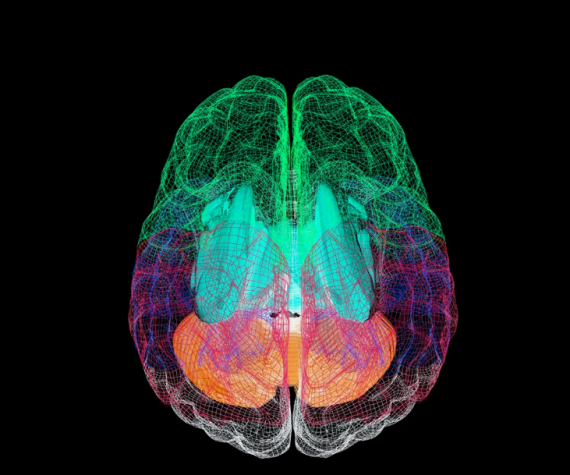 During the next decade, the team will use brain imaging, interviews and behavioral testing to determine how childhood experiences and a child’s changing biology affect brain development. Tomás Guilarte, dean of FIU’s Robert Stempel College of Public Health & Social Work, is a co-author of a study that confirms that repeated injury to the brain triggers a chain reaction that ends in lasting injury. The study revealed swelling of the brain — which plays a critical role in diseases such as Parkinson’s and Alzheimer’s — is present at a much younger age than previously thought in athletes who experience repetitive, mild traumatic brain injury. The study compared brain images of active and recently retired NFL football players, between the ages of 23 to 39, to a control group of non-athletes of similar ages. It revealed that swelling existed in the NFL players’ brains — even though they had not yet experienced any effects or brain volume loss. With more children playing football, soccer and other sports, Dr. Guilarte’s work has urgency. This is the type of research that has the power to help us understand environmental effects on the brain, but also contribute to future strategies for detection and early intervention. Dr. Guilarte also leads the emerging preeminent Brain, Behavior and Environment Program. Hurricanes pack a lot of power. How can we use their energy to our advantage? This is the question behind the groundbreaking work of FIU researchers Arindam Chowdhury and Andres Tremante from our College of Engineering & Computing. Dr. Chowdhury is also a part of the Extreme Events Institute, one of our preeminent programs. They have developed a system of screw-like turbines that can be mounted to roofs to reduce the effects of the powerful winds, while at the same time harnessing the energy into electricity! This technology could possibly generate enough electricity to power small appliances and lights for days during blackouts following a bad storm. Many bridges in our country need to be repaired or replaced. Every day, people commute over our nation’s bridges, unaware of the possible danger. But there is good news: FIU will receive $1.5 million per year, for five years, for its Accelerated Bridge Construction University Transportation Center (ABC-UTC). A combined match from the state and private sector will bring the award to more than $10 million. This is the second grant awarded to FIU’s ABC-UTC, which was first funded by the USDOT in 2013. Atorod Azizinamini, one of the world’s leading bridge engineers, is director of FIU’s ABC-UTC from our College of Engineering & Computing. He has been recognized by the White House and the Department of Transportation as a Transportation Champion of Change. As the only organization in the country focused on accelerated bridge construction research, we’re excited that FIU is once again at the forefront of research that will positively impact one of our nation’s major transportation issues and the future of transportation. FIU’s Bridge Engineering Program is one of our newly designated preeminent programs. The National Science Foundation (NSF) recently awarded FIU two grants that will allow us to continue to be a leader in STEM — Science, Technology, Engineering and Mathematics — education and research. The first award is for $1 million in student scholarships. It will help remove financial barriers to student success and increase the number of graduates in computer and information technology. Mark Weiss, associate director for academic affairs at the School of Computing & Information Sciences in the College of Engineering & Computing, is the principal investigator of the grant. The co-principal investigator is Zahra Hazari of the STEM Transformation Institute and Department of Teaching and Learning. Traditionally, STEM degrees usually take longer to finish than other majors. In some cases, students run out of financial aid before they are able to graduate. With this grant, our students will be able to pursue their dreams, finish their degrees and be well positioned to take good jobs in high-demand fields. FIU also received a $3.2 million National Science Foundation ADVANCE Institutional Transformation Grant to allow us to develop strategies to create a more diverse faculty at FIU. Our diversity is our strength! Under the umbrella of FIU ADVANCE, the university will address this goal as part of a multipronged approach to increase the university’s rate of hiring women and minority professors in STEM, as well as in the social and behavioral sciences. The principal investigator of the grant is Provost Furton and the co-principal investigator is Suzanna Rose, associate provost of the Office to Advance Women, Equity & Diversity. FIU’s department of Civil & Environmental Engineering in our College of Engineering & Computing earned top placement in the National Science Foundation’s Higher Education Research and Development Survey rankings for 2015. In total research expenditures, it moved from No. 25 in 2014 to No. 13 in 2015. With the new ABC-UTC grant, we hope that our ranking will continue to rise. In federal research expenditures, Civil and Environmental Engineering’s ranking moved from No. 16 in 2014 to No. 7 in 2015. 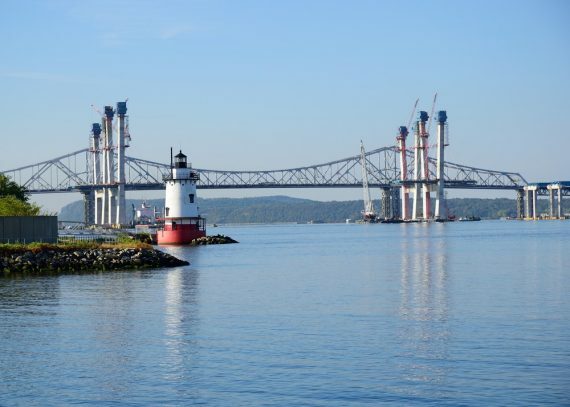 Civil & Environmental Engineering is associated with two preeminent programs — the Extreme Events Institute and the Bridge Engineering Program. These rankings are a strong indication that our preeminent programs are critical to helping us accomplish our strategic plan goals and take FIU to the top! Nap pods, snacks and coffee 24/7? 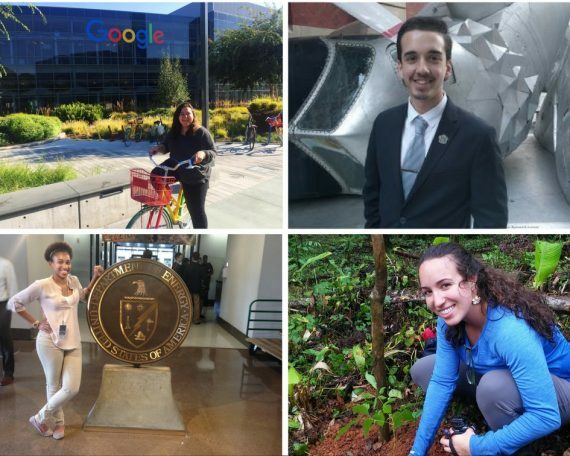 This summer, Maytal Maor landed an internship at Google and all of this became a reality. Plus, she now has a clear career path when she graduates! David Vallejo interned for Raytheon Missile Systems in Arizona where he put the skills he learned at FIU to the test. He impressed his team and was offered a full-time job with the company! Alexis Smoot worked for the Office of Environmental Management in the Department of Energy in Washington, D.C.! She got the chance to learn more about her field while also connecting with local alumni and the staff at FIU in DC. Annette Dominguez interned at blueEnergy— an international organization dedicated to sustainable solutions to complex challenges in Bluefields, Nicaragua — and helped local residents become energy independent! To keep up with where our students are interning, please click here. Wendy Ruiz is the only student in Florida to receive the 2016 Truman Scholarship! A first-generation political science major, Wendy is giving back. She dedicates her time to working with a non-profit organization, WeCount. It is this commitment to helping others, and her outstanding work in the classroom, that earned her the prestigious Truman Scholarship. The Student Support Services Program provided the assistance Wendy needed to succeed when she transferred to FIU from Miami Dade College. Wendy dreams of changing the educational system and helping to make it easier for first-generation students, like herself, to get a degree! To read more of her story, please click here. Since opening its doors, FIU in DC has worked to propel the careers of our student leaders. This year, nearly 80 students have traveled to the nation’s capital for an internship. Others have found a home away from home at FIU in DC, finding support from our D.C.-based career success team. 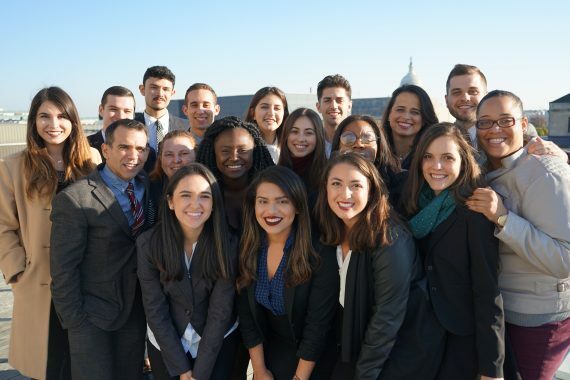 Recently, 20 FIU student leaders hopped on a plane to attend the first Career Success Fly-In, a two-day visit focused on developing relevant career skills and connecting them to D.C. alumni and employers. FIU in DC arranged interviews and meetings with employers including the FBI, the Defense Department and CIA, as well as media organizations like Fox News and private companies like DELL, Inc. 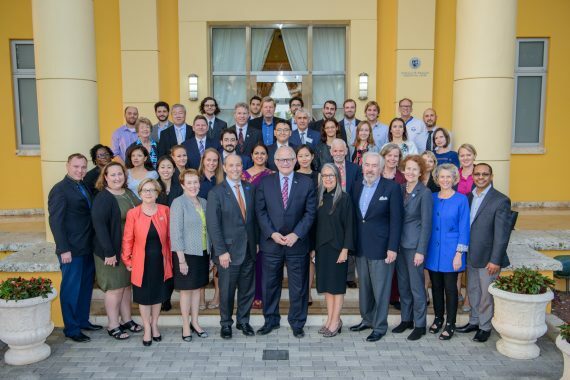 Earlier this month, FIU in DC and the department of Civil & Environmental Engineering launched the first two executive education courses for engineers and transportation professionals from across the country to learn from our preeminent faculty. Additional courses from our Steven J. Green School of International & Public Affairs are currently being planned. Freedom is not free. It’s upheld by those who understand the urgency and importance of defending it. Our veterans know this better than anyone. They have done so much for our country. What can we do to thank them for their bravery and service? We’re always looking to answer this question. Through a collaboration with Citi Salutes — Citigroup’s firm-wide initiative to support the veterans’ community — we’ve created a new program for veterans. The FIU Student Veterans Career and Talent Development Program will help give our student veterans the tools they need to transition into civilian careers and educate faculty on best practices in supporting student veterans’ learning. The program will also show local employers how they can benefit from hiring veterans. During International Education Week, FIU welcomed members of the J. William Fulbright Foreign Scholarship Board. As a globally engaged institution with deep ties throughout the world, the Fulbright program is critical to our success as an institution. During the visit, students and faculty interested in participating in the program were able to attend a presentation and panel discussion featuring FIU scholars and students who previously participated in the Fulbright program. It is my hope that the attendees will follow in their footsteps and pursue the chance to study, teach or conduct research abroad! Earlier this year, the U.S. Department of State recognized FIU as a top producer of Fulbright U.S. Scholars for 2015-16. Our prospects for 2016-17 look promising and I hope to share more news on this soon! FIU employee and alumna Analise Dlugasch choked while having dinner at a restaurant. No one was able to help her before the ambulance arrived. She spent four months in a coma and passed away in 2015. To make sure this never happens again to anyone, the Chaplin School of Hospitality & Tourism Management launched the FIU HEART Program, a CPR and choking-relief training program to prepare our students with skills they can use to save a life. During the first phase, the program aims to teach these skills to every hospitality management student at FIU. Eventually, we would like to have the program adopted by the entire hospitality industry in South Florida. Five high school graduates were selected as the third cohort of Carnival Gold Scholars, a program established by Carnival Foundation. With this scholarship, these students will now be able to pursue their dream of working in hospitality and tourism while graduating without debt! Including this latest gift, the Carnival Corporation, one of South Florida’s largest employers, has invested $1.2 million in the Carnival Gold Scholars program. It’s been three years since we started Fostering Panther Pride to offer hope and help to our students who are either homeless or in foster care. Fostering Panther Pride provides mentoring, academic and financial assistance and a network of outreach, helping with everything from study skills and internships to balancing a checkbook and preparing a resume. We are currently serving 146 students and, since the program began, 41 have graduated! The College of Business’ undergraduate international business program was ranked No. 5 in U.S. News & World Report’s 2017 Best Colleges report. It is the highest ranking to date for FIU’s undergraduate international business program in U.S. News’ well-regarded survey, and the fourth time in five years that the college has ranked within the Top 10 in international business. FIU’s College of Law was recently recognized by the Daily Business Review for our graduate employment rate. We lead the state in the job placement ranks with 82 percent employment! This good news comes on the heels of our College of Law graduates earning the top passage rate on the Florida bar exam for the third time in a row! FIU’s Model United Nations has been ranked second in North America! This is our highest ranking yet. We even beat Harvard and Georgetown! This is our fourth year in the top five and we’re one of just a few teams in the country to win awards in every region of the North American Model UN circuit. 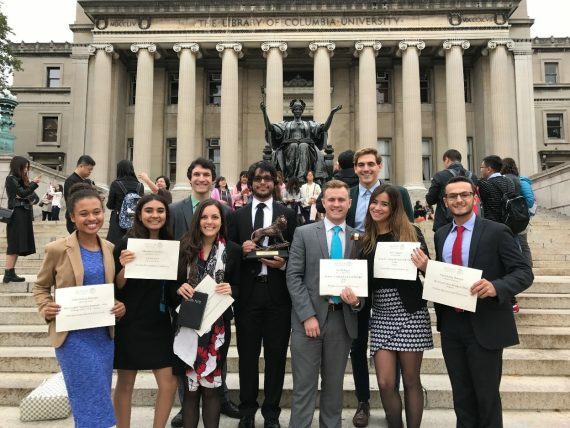 Every year, competition gets tougher, but FIU’s Model UN continues to rise to the challenge, proving that we have some of the best students in the world! We are a stepping stone to success and our students, faculty and staff are able to thrive in part because we have a supportive university community and safe campuses to live and work in. But safety is something we must constantly work at. This year we took important steps to prepare for and prevent incidents on our campus. Our police department worked with Green Library leadership and staff to conduct our first full-scale active shooter drill involving FIU Police, neighboring police departments, and university staff. Also, we created the University Safety Council to discuss areas of concern and take proactive steps to continue to improve our trainings and protocols. Safety is everyone’s job. As in any family, we must look out for one another. Remember, if you see something, say something. 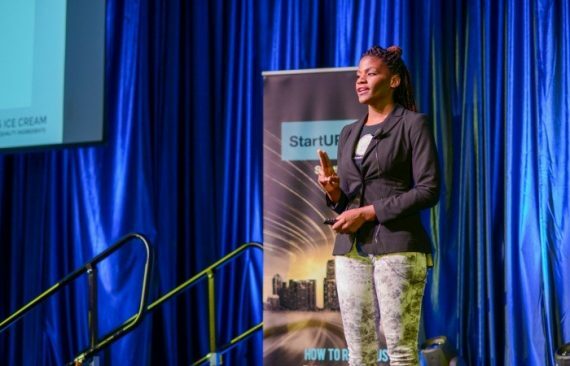 After 14 weeks of turning their ideas into businesses in the Empower Accelerator Program, StartUP FIU’s first cohort introduced their companies to the community and pitched their ventures to potential investors. The projects that make up the first class include a virtual reality system for physical therapy, handcrafted ice cream that promises indulgence, and a device that produces flavor “pearls” for use in the food industry. To check out a video of StartUP FIU’s Pitch Day, please click here. 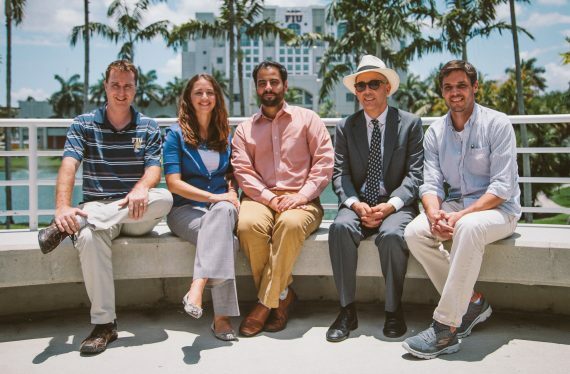 StartUP FIU’s second cohort will begin in Spring 2017. Food FIU is also coming soon! In partnership with the Chaplin School of Hospitality & Tourism Management and funded by the Citi Foundation, it will offer food entrepreneurs access to state-of-the-art commercial kitchen facilities at BBC, as well as technical expertise from faculty and students, to innovate, and grow their businesses. It will launch in March 2017. A third incubator space, located in the West Kendall District near Tamiami Airport, is also scheduled to open in March. FIU will soon have a new incubator! 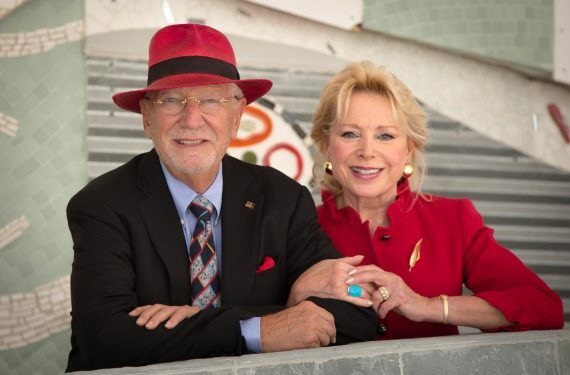 With funds from a recent $831,000 gift from the Ratcliffe Foundation, FIU’s College of Communication, Architecture + The Arts (CARTA) will open the Ratcliffe Arts + Design Incubator at FIU. In partnership with StartUP FIU and located at BBC, it will be among the most innovative arts entrepreneurship spaces to be housed at a public university in South Florida. The gift will fund the incubator for three years, including $450,000 in scholarships, as well as two designers who will teach graphic and object design, a monthly lecture series, office and meeting spaces, training and more. The first group of 15 fellows will start working at the incubator in Fall 2017. Our Herbert Wertheim College of Medicine is doing so much good in our community! It’s driving out breast cancer with the Linda Fenner 3D Mobile Mammography Center. To date, we’ve provided screenings to more than 1,000 women! Through the Green Family Foundation NeighborhoodHELP program, our students have changed the lives of local families from underserved neighborhoods in Miami-Dade County. Our students have conducted more than 6,000 visits to more than 700 households, impacting 2,000 people! This fall, the College of Medicine welcomed the largest class to date —126 students. FIU is headed to Wynwood! Our artists and creators will soon have a new place to work through a partnership between Mana Contemporary and CARTA. The partnership is made possible through a charitable contribution of $2.5 million from Mana Contemporary and the in-kind use of 15,000-square-feet of studio and lab space for architecture, design, art and communication students within Mana Wynwood. Aaron Willis was shot while riding his bike home, but recently he graduated from Booker T. Washington High School and is getting ready to start the next chapter of his life at FIU — thanks to The Education Effect. The story of how our unique partnership is helping Aaron and others in South Florida achieve their dream of getting a higher education was featured on NBC Nightly News. If you missed it, please watch this story! It is a moving example of one of the ways we’re working together with our community partners to change lives. After Miami MedTech (MMT) was founded, they looked at different locations that would help them develop and grow. Then, they found a home at FIU. MMT is the first comprehensive healthcare incubator in South Florida that is dedicated to medical device innovation, and it works to develop products that will impact people’s lives. This partnership has benefited MMT and FIU. With their lab on MMC, they get the chance to be a part of what’s happening every day at our FIU. They also have access to our talented faculty and students. One of MMT’s main goals is to engage with our students and give them a chance to learn and work on its projects. One example is Chris Naranjo. He’s a recent FIU computer science graduate who spent his summer interning at MMT. 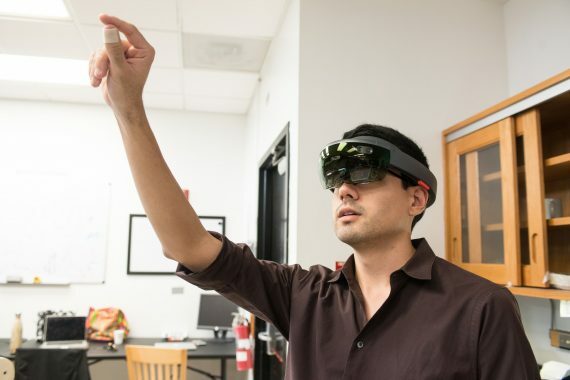 Chris is focused on programming a new technology that would use an enhanced reality headset, known as the HoloLens. It would allow doctors to see a patient’s medical information with a swipe of a finger. Today, there are five FIU students working with MMT on programming and research for potential new products. We are committed to providing services for people with autism, developmental disabilities and other special needs. 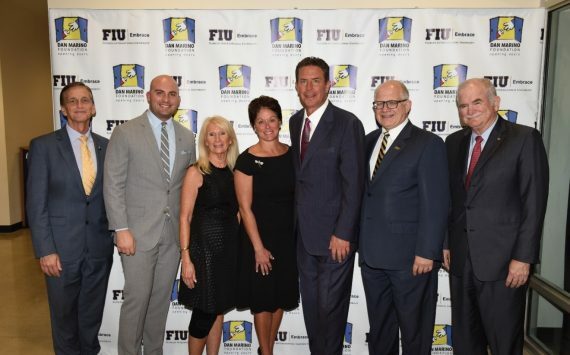 The Dan Marino Foundation and FIU EMBRACE teamed up to enhance our efforts. Working together, we’ll empower people on the autism spectrum to take control of their lives and future livelihoods. FIU EMBRACE’s cross-disciplinary approach will allow for hands-on learning opportunities for FIU students as well as new and unprecedented opportunities for students with special needs, including the ability to attain industry certifications and gain the skills needed to secure competitive employment. 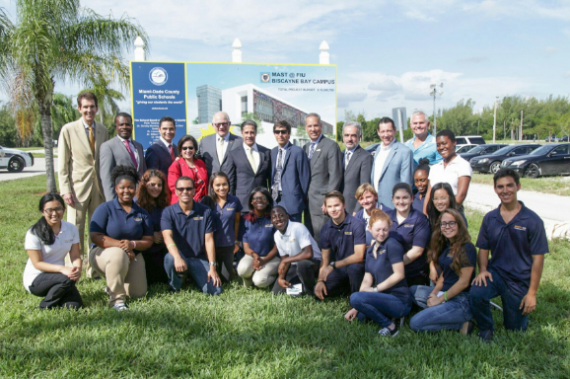 In September, Miami-Dade Public Schools and FIU held a ceremonial kick-off for the new MAST @ FIU. This STEM-oriented high school aligns with our nationally recognized STEM focus and promises to bring countless new highly engaged students to BBC. Our partnership has always been about student success and expanding educational access. MAST@FIU having its own facility will open up countless opportunities for students from our community. What an incredible stepping stone with these new educational opportunities and facilities! The new location is expected to open by the end of 2018. We’re excited about this new beginning for our MAST@FIU family! When our students come to FIU, we want them to be educated about loans, interest rates, budgeting and financial planning. So we’re doing something about it! 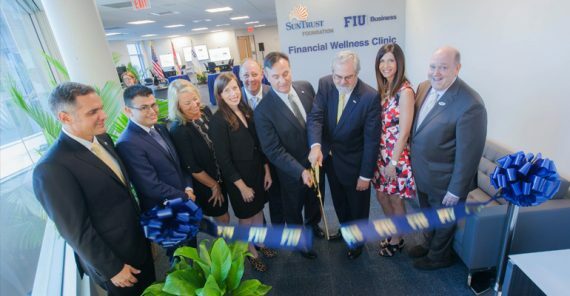 FIU’s College of Business and the SunTrust Foundation have joined forces to create the SunTrust FIU Financial Wellness Clinic. This state-of-the-art financial literacy clinic has been made possible through a $600,000 grant. It will educate and empower low-to middle-income residents of Miami-Dade County’s multicultural communities, including FIU students and high school students enrolled in Miami-Dade County’s Academy of Finance. It will provide innovative and comprehensive bilingual curriculum, free resources and educational tools, consulting, workshops, a seminar series, guest speakers and mentoring. This was the fifth year our FIU family brought their world-changing ideas and personal experiences to the TEDxFIU stage. What a night! Eight speakers shared their stories of unexpected discovery and we broke previous attendance records. If you missed it or want to relive the night, videos of each talk will be posted to the official TEDx YouTube page in January. For more information, visit tedx.fiu.edu. This year, our community has yet another reason to celebrate. The Herbert and Nicole Wertheim Performing Arts Center at FIU is celebrating 20 years of bringing creativity, public engagement and world-class entertainment to South Florida. This is where theatre majors present their full-scale productions and music majors participate in over 150 performances during the concert season. 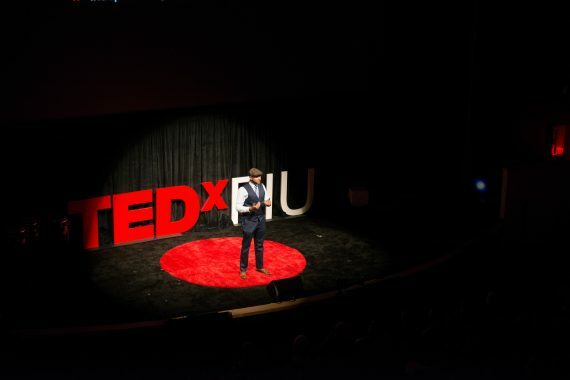 It’s also where public figures come to share their ideas, serving as a forum for everyone from presidential candidates Hillary Clinton and Gary Johnson to TEDxFIU speakers. Join in the celebration by taking a look back at the WPAC’s 20 year history. There is so much to love about Miami. 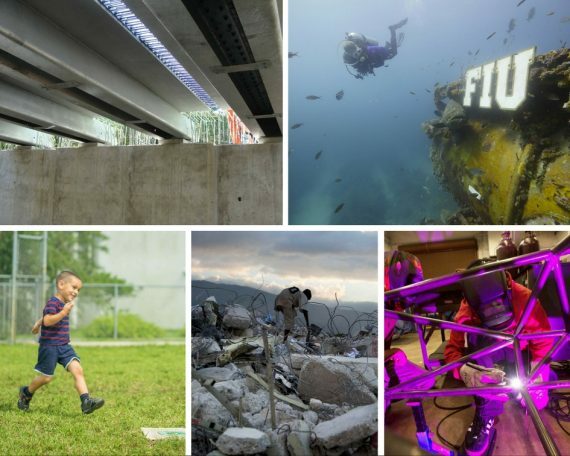 Recently, two FIU projects were selected as 2016 Knight Arts Challenge Winning Ideas. The FIU Miami International GuitART Festival won $55,000 for its project aimed at honoring Miami’s Cuban heritage through exchanges between Havana and Miami guitar orchestras. FIU student Symone Titania also won for “The Unvoiced Community: BBQ Men & Women of Goulds,” a photo documentary aimed at telling the stories of the barbecue vendors of South Dade’s Goulds neighborhood. In October, FIU became home to the first solo fashion couture exhibition featuring the work of internationally renowned Cuban-American fashion designer Narciso Rodriguez. Narciso Rodriguez: An Exercise in Minimalism was co-curated by Klaudio Rodriguez, curator of The Patricia & Phillip Frost Art Museum, and Alex Gonzalez, creative director of ELLE Magazine. If you haven’t seen this outstanding exhibition, it will be on view through Sunday, Jan. 8. From the 2016 presidential election to the death of Fidel Castro, FIU has been a part of some of this year’s most historic moments. For many years, we have strived to be a place for scholarship and discussion about Cuba. This year was no different. In September, FIU released the results of the latest FIU Cuba Poll — the longest running research project measuring Cuban-American public opinion. The findings revealed a major shift in Cuban-American attitudes toward U.S.-Cuba relations. The shift reflects the changing demographics of the Cuban-American community in Miami-Dade County, with younger and second-generation Cuban-Americans and more recent arrivals to the United States more likely to express a pro-engagement attitude than older exiles and those arriving before 1980. The Cuba Poll also addressed the 2016 U.S. presidential election. In November, Fidel Castro died, marking the beginning of the end of a painful chapter in the lives of Cubans, our neighbors in South Florida and members of our FIU family. While our community worked to move forward, FIU was here to make sense of recent events. 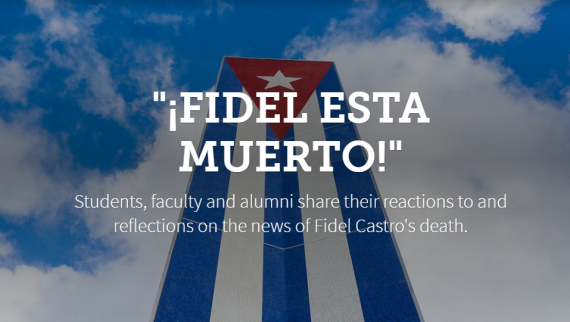 Students, faculty and alumni shared their reactions and our experts provided helpful explanations and insight into Cuba’s future. We also held different roundtable discussions that explored everything from the impact of Fidel Castro’s death on the island’s economic, social and political future — to the effect on Miami and the Cuban-American community. This political season, FIU shared the spotlight and showcased our experts. We hosted three major party candidates. President Obama also returned to FIU this fall. In the weeks leading up to Election Day, our FIU faculty, staff and students did their part to get involved in the political process. We had several election season events, including a pep rally and march to the polls — where students marched from FIU to the polling station at West Dade Regional Library to cast their vote! To help sort through the implications of this election, faculty from the Steven J. Green School of International & Public Affairs joined an expert in diplomacy from Washington, D.C. for a post-election analysis that drew more than 100 students and members of the media. 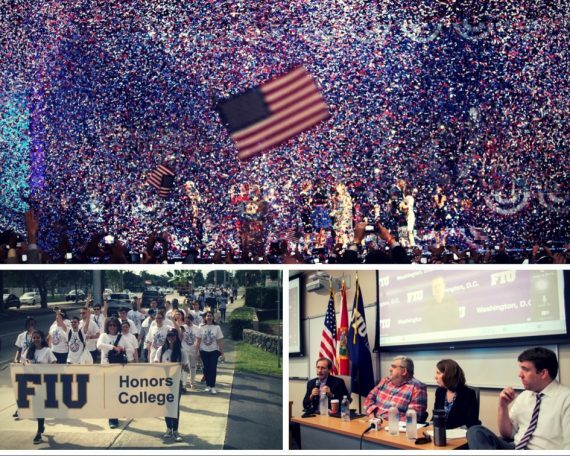 These are just some of the special moments that have made up a fantastic fall semester. I am sure I could have shared many more. Let these stories inspire you to serve as stepping stones. Let them give you hope for FIU’s future. Let them guide our way forward into a new year filled with passion and purpose and success. Rosalie and I wish happiness and all the best to you, your families, friends and loved ones this holiday season! Have a happy and safe New Year! Thank you for all of your hard work and for being a part of our FIU. Now, onto 2017… we know it’s full of promise and opportunity largely because we have you! Congratulations To All AT FIU Outstanding!